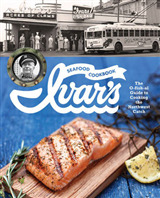 Fish Market provides readers with everything they need to know about selecting, cleaning, preparing, and cooking healthful fish and shellfish. 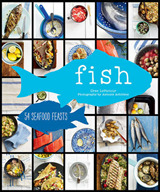 Featuring 120 creative yet manageable recipes, flavor affinities, and a bit of history for each dish, Fish Market takes the mystery out of seafood. 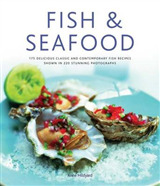 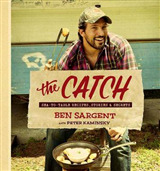 Complete with an array of helpful detailed illustrations on how to select, clean, skin, bone, cut, and cook all types of fish and shellfish, this approachable cookbook shows the reader how to create luxurious specialty seafood dishes with confidence. 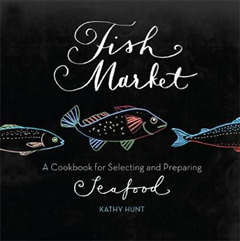 Fish Market explains which fish taste rich and beefy or mild and delicate and explains how to please picky diners while providing them with a healthy dose of omega-3 fatty acids and other nutrients. 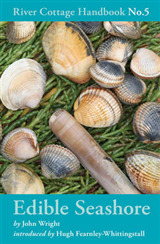 Sharing insights into what textures and tastes go well with each fish, complementing side dish offerings provide the reader with the perfect accompaniments to round off their meal.